With the release of the Amazon FireTV, AppleTV and TheVerge posts around AndroidTV, the 99$er TV set-top box war is getting into high gear. Let’s take a step back though. The FireTV sports a 2GB RAM, dedicated GPU, quad core Qualcomm CPU and a full-size USB port for 99$. This is a fantastic low-end PC that I’ll gladly install WinRT / Ubuntu on if it’s possible, but in the meanwhile, here’s a step-by-step tutorial to install XBMC on the FireTV. Get the Android developer tools and install the appropriate SDK for your machine. In my case, I got the x64 Windows bundle. Extract the files and open the folder “sdkplatform-tools” folder. 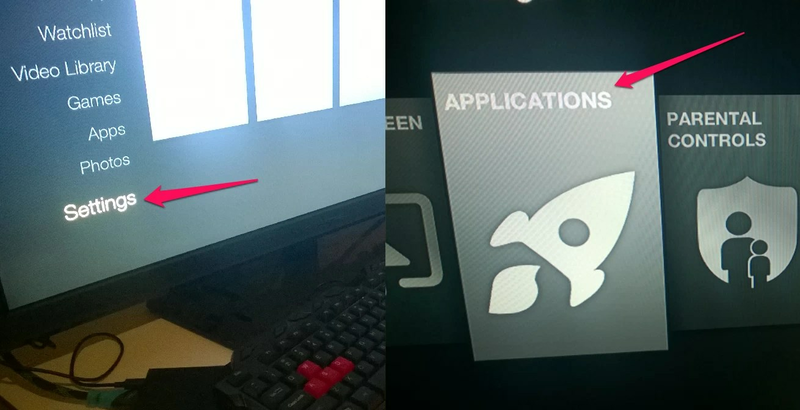 UPDATE: Consider getting SPMC (XBMC on Ouya Fork), runs better on the fireTV. At this point, it’s XBMC all the way. The fastest way I found to pass some content in was using Serviio to set up a UPnP server on Windows, but consider using any approach you’d like to set things up. Note: You can use a USB keyboard very easily for inputting text – it seems there are XBMC glitches when it comes to text input using the remote. 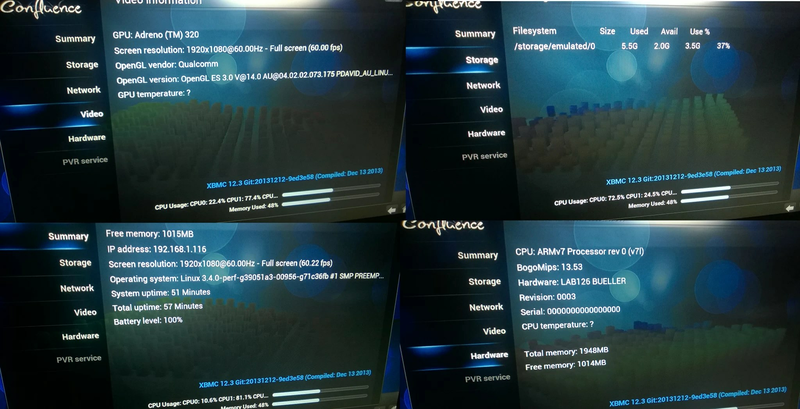  Archived in Tips and Tricks and tagged Amazon, Android, Android Visit, APK, Enable Debug, Enabling Debug Mode, Finishing Touches, FireTV, GPU, IP, PC, SDK, TV, USB, XBMC. Bookmark the permalink. Been thinking about getting one but wanted to be sure that XBMC ran on it first. 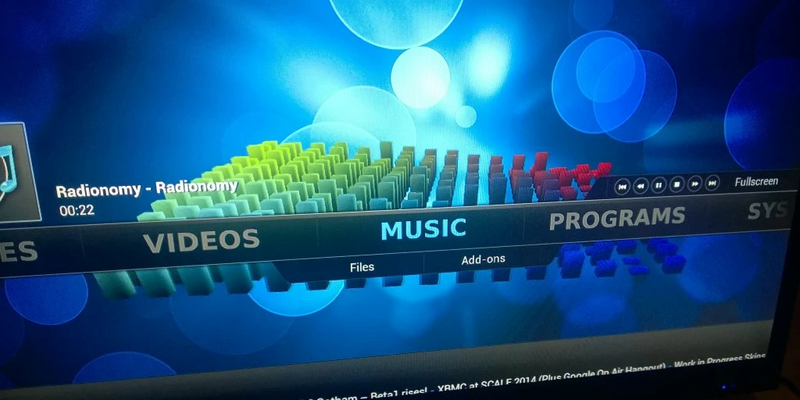 Hi…I have tried loading both Showbox APK and XBMC APK. It installs Showbox without a problem. But it does not install the XBMC APK. I am on a Mac. The last part i type in then drag the XBMC APK into terminal and it does not install. Any help would be great. Newbie to side loading apps. How do I open a console window in the platform-tools folder? Open folder. Hold shift key and right click on empty spot in folder and choose Open Command Line Here from the context menu. This is what i have done but it won’t install! I got the xmbc installed. 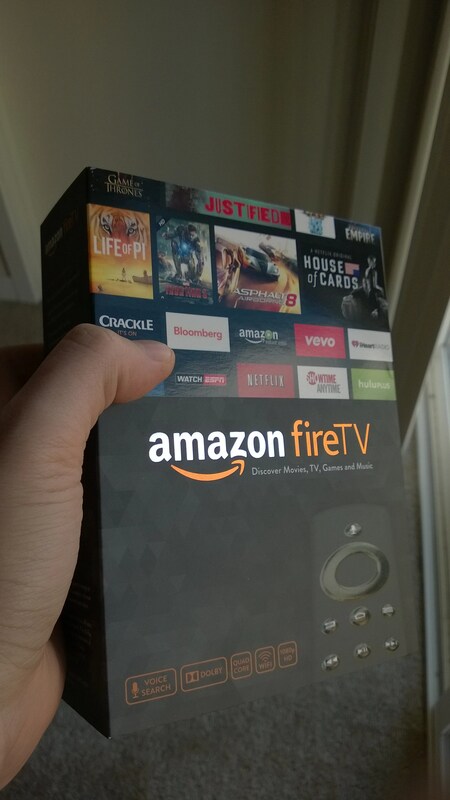 I also got fusion to load straight to fire tv. I got navi-x although not interested just wanted to try to load it appears to work. The question that I have is the following do you know if the pvr actually work? I am trying to get wmc pvr which is not included I believe I can download it and give it a try if I figure it out myself I will let you know. I am trying to get this to work with hdhomerun with wmc pvr which I believe does all the transcoding. If this does not work I will get a nuc I5 system and call it a day. What I would live to do is have xmbc act as the backend and frontend without any pc involved and place a hard drive and record all tv shows on my 1.5 T drive. I’d also LOVE to have a osx tutorial, I’m using Plex right now and I hate having to have a computer on all the time to stream from my NAS. I installed XBMC the latest version on Amazon Fire TV. Everything works, but I’m having an issue with Navi-X program. When I click on the Navi Xtreme Portal. Navi-X stalls. It’s actually doing the same thing on one of my PCs, but on another PC it’s working. 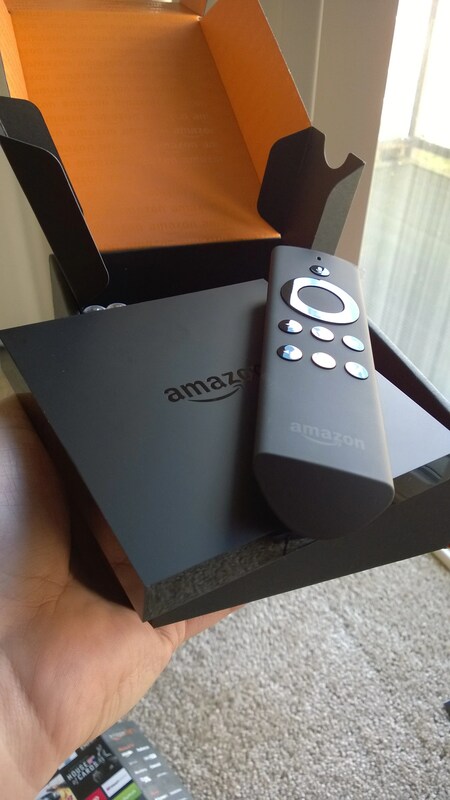 Has anyone been successful in using remote control apps from an iPad or iPhone to control XBMC when installed on the Fire TV? My XBMC install is working well, but I’d love to be able to control it from my phone like I do with XBMC on my PC. 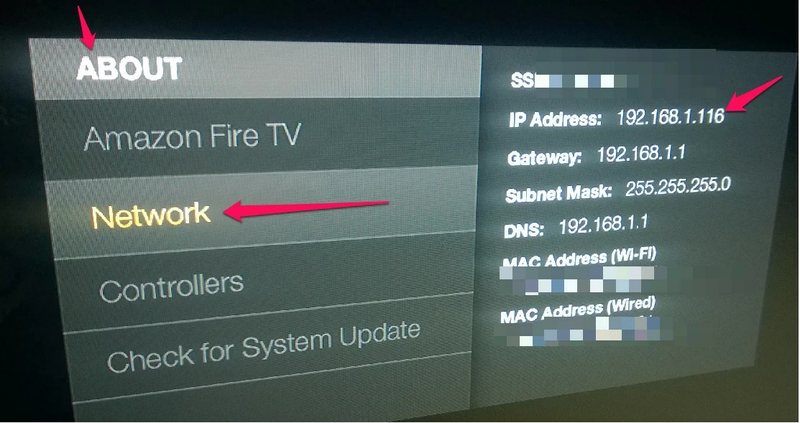 I’ve set up networking exactly as it is on the PC (allowing control of XBMC over HTTP) but it still cannot find the install on the Fire TV. Also, any way to make the XBMC show up under apps, without having to go into settings and applications to launch it every time? Works ok on mine. What version you using? Yes I added constellation app to ipad and it works great! any idea how to also use Private VPN with this? Anyone having luck sharing with windows? Im trying SMB but no luck. Any recommendations? Want the latest hacks and news for your devices? Subscribe!